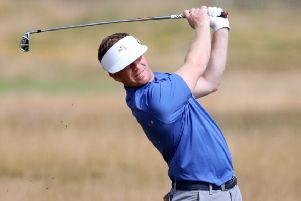 Despite struggling to find his range during his opening round of what is the oldest of the four major championships in professional golf, barely a handful of golfers beat the 33-year-old’s second-round effort. The damage had already been done, of course, on Thursday evening when a score of 82 meant he would not be extending his Open debut into the weekend. 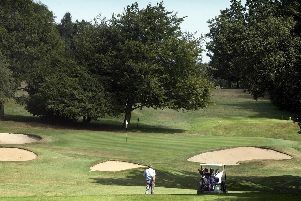 But at least with a round of 68 the following day, the professional playing out of Pannal Golf Club, who reached the Open via two rounds of qualifying, proved he belongs in elite company. “I couldn’t get off the golf course quick enough on Thursday,” said the former world par-3 champion. He did that in style with birdies at the third, ninth, 10th, 14th and 16th to offset two dropped shots. The birdies on nine and 10 were particularly sweet given that is where his challenge had faded less than 24 hours earlier. “I hit a decent shot into nine and dropped a shot and then got a horrible lie on 10 and double-bogeyed,” said Curtis, who dropped a further four shots over the closing two holes as the temperature plummeted. “I never really recovered from that. “It was so cold on the Thursday night I wasn’t expecting the temperature to drop so much and it got to my back. “Friday was a much more enjoyable experience and it gives me a lot of positives to take. My coach just noticed that I was a little steep on my swing and I managed to fix that. Together with my putting it all really worked. Behind Curtis literally every step of the way around his Open adventure was old friend and fellow PGA professional Tom Hesketh. A former member at both Pannal GC and Oakdale GC and a part of Knaresborough Town AFC’s 2017/18 NCEL Division One title-winning side, Hesketh acted as Curtis’ caddie at Carnoustie. “It was a brilliant experience, quite surreal at times, but just fantastic to be a part of,” he reflected. “I played golf for England up until the age of 18, so it was nice to catch up with Danny Willett and Tommy Fleetwood and some of my other old mates, but this was the first time that I’ve rubbed shoulders with the likes of Tiger Woods and Phil Mickelson. “Sharing a locker room with these guys was quite special and being stood literally five feet away from Woods when he was practising his putting right next to us was incredible.